The Dirtiest Secret of Lawyer Advertising! Bought and Paid for Search Rankings. I get numerous Search Engine Optimization (SEO) proposals every week. These groups claim they can have me at the top of Google searches, for a fee, in any legal category I choose. The SEO people Google specific terms and if you are not in the top 5, or on the first page, then the solicitations come. Sometimes you may even be on the first page organically and they still try to solicit you. So what does this mean for you, the person looking for a lawyer? Be careful. Just because a lawyer shows up on your search does not mean he/she is the one for you or that they even handle the type of case you have. Read more on How to Hire an Attorney. 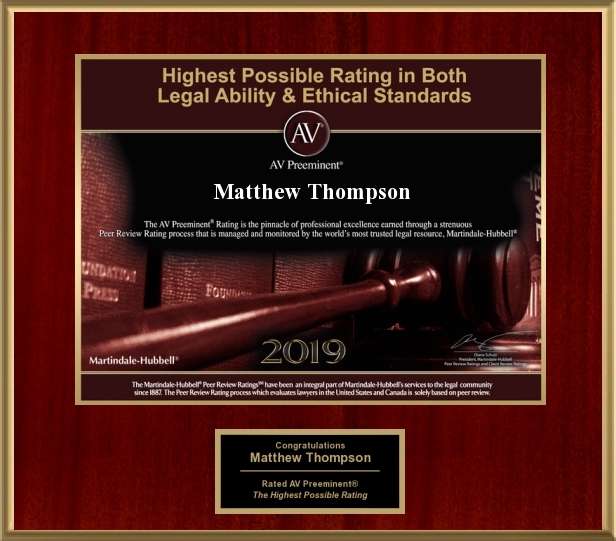 Matthew Thompson is a Family Law Attorney in Mississippi cautioning you to do your research before you hire an attorney. Previous PostHappy National Bow Tie Day! !Next PostLeaked Photos!